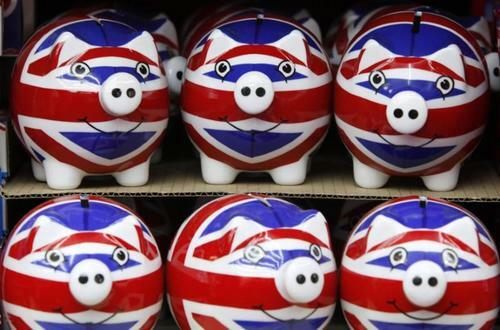 Reuters UKInflation ate further into the budgets of British households last month, according to a survey of consumers, adding to signs that households will be feeling under pressure in the run-up to the June snap election planned by Prime Minister Theresa May. 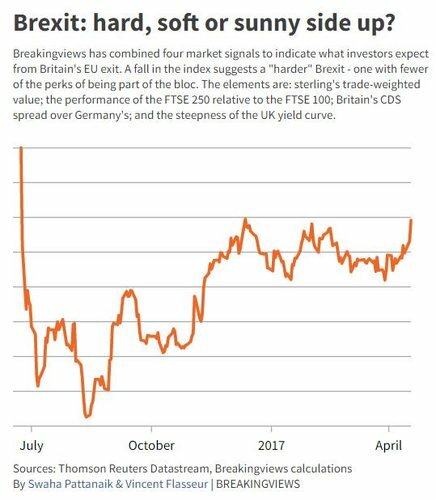 German government spokeswoman says assumes the UK's election will not affect the Brexit negotiations proceeding. A planned early election in Britain, announced by Prime Minister Theresa May on Tuesday, will not delay negotiations on its withdrawal from the European Union, German Chancellor Angela Merkel's government said on Wednesday. "The German government does not expect the election to interfere with the process of negotiations with Britain on leaving the EU," said government spokeswoman Ulrike Demmer, adding Merkel and May had spoken by telephone on Tuesday. Reuters UKPrime Minister Theresa May said on Wednesday an early election would strengthen her at the "most crucial point" in Britain's divorce talks with the EU, as she prepared to ask parliament to approve a vote in just seven weeks' time. May saying Labour would bankrupt the economy if they got into power. That's a bit more of what we expect from a UK general election debate. Angus Robertson calls on May to condemn Daily Mail front page. She says free press is important. After calling shock (some may say unnecessary) election in middle of Brexit uncertainty, Theresa May tells SNP to "get back to the day job"
Scotland's First Minister Nicola Sturgeon said on Wednesday that a victory for her Scottish National Party in a snap election on June 8 would make it impossible for British Prime Minister Theresa May to stop a new referendum on Scottish independence. Former UK Chancellor George Osborne says he will not run in the June general election according to the Evening Standard. 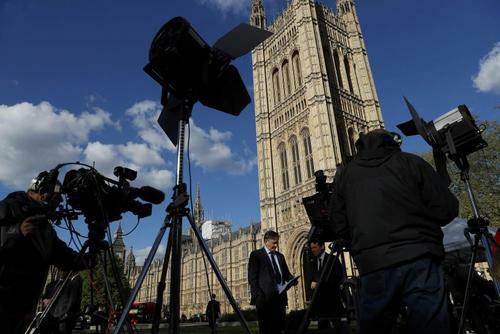 British Prime Minister Theresa May on Wednesday asked parliament to back her call for an early national election, saying the result would help unify parliament behind her Brexit plan and prevent instability. Under electoral law, May must win a two thirds majority in a parliamentary vote due to be held later on Wednesday before she can officially call an early election. May is expected to win the vote, and wants to hold an election on June 8. "I believe that at this moment of enormous national significance there should be unity here in Westminster not division," May told parliament. "That's why it is the right and responsible thing for all of us here today to vote for a general election." 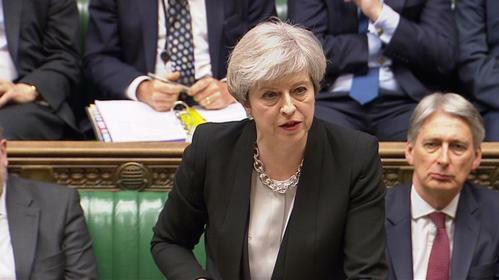 Britain's parliament voted by 522 to 13 on Wednesday in favor of Prime Minister Theresa May's plan to hold an early national election. Britain had not been due to hold a national election until 2020 but May said on Tuesday she wanted to bring that forward to June 8 this year in order to strengthen her hand in Brexit negotiations with the European Union. She needed to win the backing of more than two thirds of parliament's 650 members in order to hold an early election. Theresa May introduces a motion for an election ahead of schedule that must be backed by two thirds of the 650 seat lower House of Commons. This means that the government needs 434 votes to call the election. The vote is expected to take place at 1415gmt. Reuters UKPrime Minister Theresa May called on parliament to back her demand for an early election on Wednesday, saying the vote was a chance to heal divisions in Britain before starting divorce talks with the European Union. 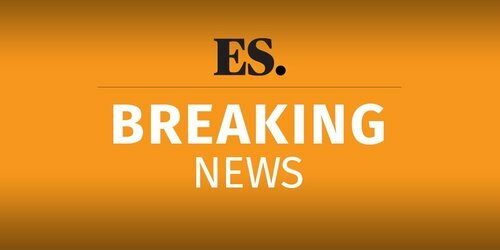 UK parliament votes by 522 to 13 in favour of holding early general election. I welcome @ITV's decision to attempt to hold a TV debate with the PM. If @Theresa_May is so proud of her record, why won't she debate it? Opposition leader Jeremy Corbyn will vow on Thursday to defeat what he calls a "cosy cartel" at the heart of British politics that protects the interests of the wealthy. 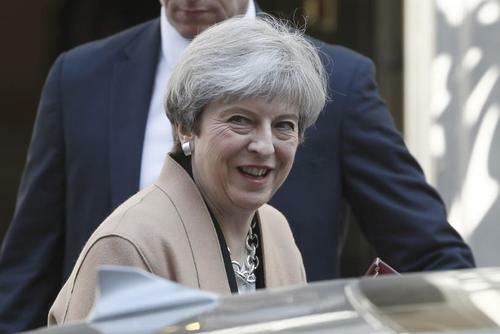 Reuters UKPrime Minister Theresa May won parliament's backing for an early election on Wednesday, a vote she said would strengthen her hand in divorce talks with the European Union and help heal divisions in Britain.